Colyer-Fergusson was born at 13 Lower Berkeley Street, Marylebone. 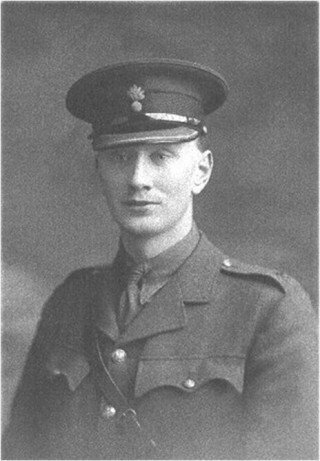 He was awarded the Victoria Cross as an acting Captain in the 2nd Battalion, Northamptonshire Regiment. 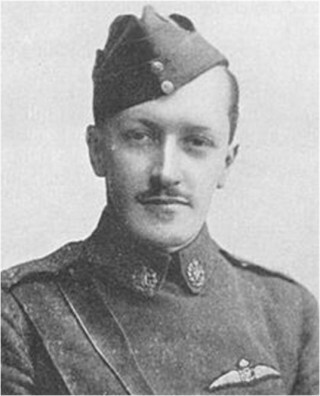 Captain Colyer Fergusson found himself with a Sergeant and five men only. He carried out the attack nevertheless, and succeeded in capturing the enemy trench and disposing of the garrison. His party was then threatened by a heavy counter-attack from the left front, but this attack he successfully resisted. During this operation, assisted by his Orderly only, he attacked and captured an enemy machine gun and turned it on the assailants, many of whom were killed and a large number driven into the hands of an adjoining British unit. Later, assisted only by his Serjeant, he again attacked and captured a second enemy machine gun, by which time he had been joined by other portions of his company, and was enabled to consolidate his position. The conduct of this officer throughout forms an amazing record of dash, gallantry and skill, for which no reward can be too great, having regard to the importance of the position won. This gallant officer was shortly afterwards killed by a sniper. Drummond was born at 13 St James’ Place, Westminster. He was awarded the Victoria Cross as Lieutenant in the Royal Navy Volunteer Reserve for his part in the Second Ostend Raid in 1918. Whilst commanding his Motor Launch behind HMS Vindictive a shell burst on board killing and injuring crew. Despite being badly wounded Drummond was able to bring his vessel alongside HMS Vindictive, taking off two officers and 38 others. He remained conscious long enough to take his vessel towards open sea and safety before eventually collapsing. Dunville was born at 46 Portland Place, Marylebone. 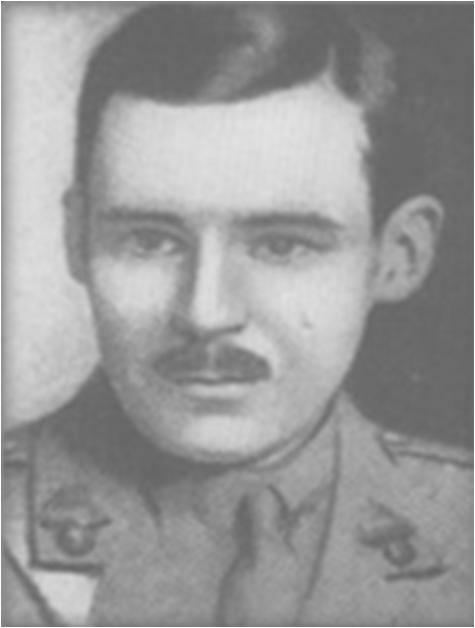 He was awarded a Victoria Cross as 2nd Lieutenant in the 1st Royal Dragoons for his actions in June 1917. When in charge of a party consisting of Scouts and Royal Engineers engaged in the demolition of the enemy’s wire, this officer displayed great gallantry and disregard of all personal danger. In order to ensure the absolute success of the work entrusted to him, 2nd Lt. Dunville placed himself between the N.C.O. of the Royal Engineers and the enemy’s fire, and thus protected, this N.C.O. was enabled to complete a work of great importance. 2nd Lt. Dunville, although severely wounded, continued to direct his men in the wire-cutting and general operations until the raid was successfully completed, thereby setting a magnificent example of courage, determination and devotion to duty, to all ranks under his command. This gallant officer has since succumbed to his wounds. Elliott-Cooper was born at 81 Lancaster Gate, Paddington. He was awarded the Victoria Cross as Lieutenant Colonel commanding the 8th Battalion Royal Fusiliers during the Battle of Cambrai. Hearing that the enemy had broken through our outpost line, he rushed out of his dug-out, and on seeing them advancing across the open he mounted the parapet and dashed forward calling upon the Reserve Company and details of the Battalion Headquarters to follow. Absolutely unarmed, he made straight for the advancing enemy, and under his direction our men forced them back 600 yards. While still some forty yards in front he was severely wounded. Realising that his men were greatly outnumbered and suffering heavy casualties, he signalled to them to withdraw, regardless of the fact that he himself must be taken prisoner. By his prompt and gallant leading he gained time for the reserves to move up and occupy the line of defence. Vereker was born at 1 Portland Square, Marylebone. 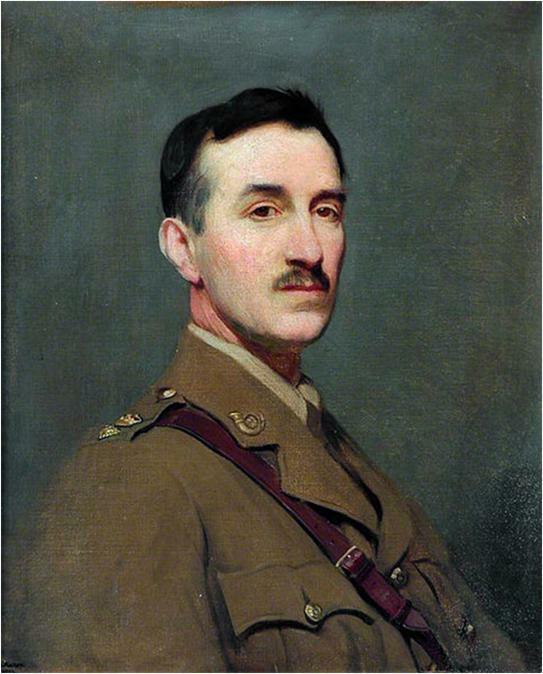 He was awarded the Victoria Cross as Lieutenant Colonel of the 4th Battalion Grenadier Guards in September 1918. Under heavy artillery and machine-gun fire he led his battalion with great skill and determination. Although wounded, he quickly grasped the situation, directed a platoon to proceed down a sunken road to make a flanking attack, and, under terrific fire, went across open ground to obtain the assistance of a Tank, which he personally led and directed to the best possible advantage. While thus fearlessly exposing himself, he was again severely wounded by a shell. Notwithstanding considerable loss of blood, after lying on a stretcher for awhile, he insisted on getting up and personally directing the further attack. By his magnificent example of devotion to duty and utter disregard of personal safety all ranks were inspired to exert themselves to the utmost, and the attack resulted in the capture of over 200 prisoners, two batteries of field guns and numerous machine guns. 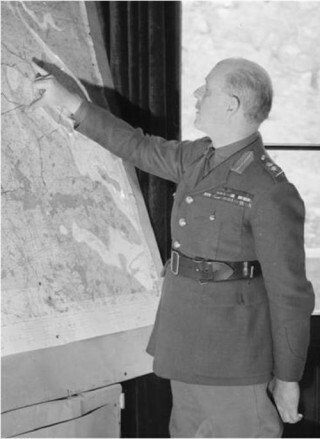 Lt.-Col. Viscount Gort then proceeded to organise the defence of the captured position until he collapsed; even then he refused to leave the field until he had seen the “success signal” go up on the final objective. Hewitt was born in Mayfair, Westminster. He was awarded the Victoria Cross as a Second Lieutenant in the 14th Battalion Hampshire Regiment for his actions in Ypres. On 31 July 1917 after achieving his first objective Hewitt reorganised his company and moved forward. He was hit by a piece of shell which ignited the signal lights in his haversack and set fire to his equipment and clothes. He extinguished the flames and then, despite his wounds and severe pain, led forward the remnants of the company under a very heavy machine-gun fire and achieved his secondary objective. He was subsequently killed by a sniper while inspecting and encouraging his men. Keysor was born at 14 Lanhill Road, Paddington. 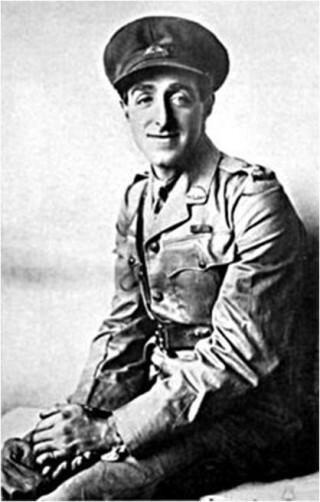 He was awarded the Victoria Cross as an acting Lance Corporal in the First Australian Imperial Force at Gallipoli. 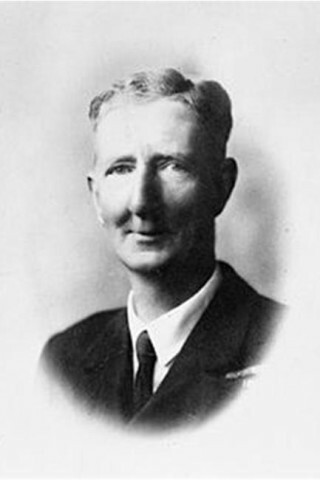 At the Battle of Lone Pine Keysor continually risked his life to protect his men. He worked throughout his company’s trenches finding and throwing back live Turkish grenades. Later, despite being wounded and ordered to seek medical attention, Keysor continued to remain in the line, volunteering to throw bombs for another company. Watson was born at 7 Henrietta Street, Westminster. He was awarded the Victoria Cross as an acting Lieutenant Colonel commanding the 2nd/5th Battalion, King’s Own Yorkshire Light Infantry. On 28 March 1918 at Rossignol Wood, France, a counter-attack had been made against the enemy position which at first achieved its objective, but as they were holding out in two improvised strong-points, Lieutenant Colonel Watson saw that immediate action was necessary and he led his remaining small reserve to the attack, organising bombing parties and leading attacks under intense fire. Outnumbered, he finally ordered his men to retire, remaining himself in a communication trench to cover the retirement. 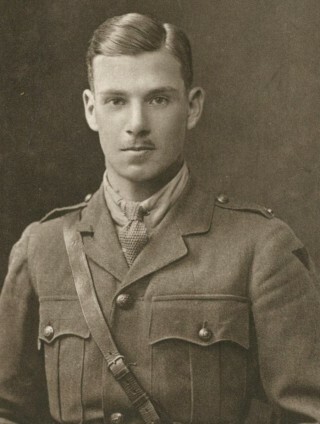 The assault he led was at a critical moment and without doubt saved the line, but he was killed covering the withdrawal. West was born in Paddington. 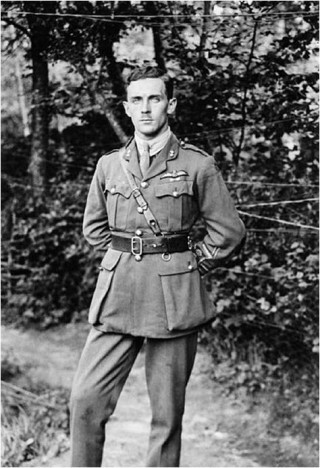 He was awarded the Victoria Cross as an acting Captain in the No. 8 Squadron, Royal Air Force. On 12 August 1918, whilst on a reconnaissance mission, West came under attack from seven German fighter aircraft and was hit in the leg. He was able to skilfully manoeuvre his machine and get several good bursts into the enemy, which drove them away. He twisted his trouser leg into a tourniquet to stem the flow of blood from his wounds. His left leg had five wounds, one of which had shattered his femur and cut the femoral artery, and had to be amputated. 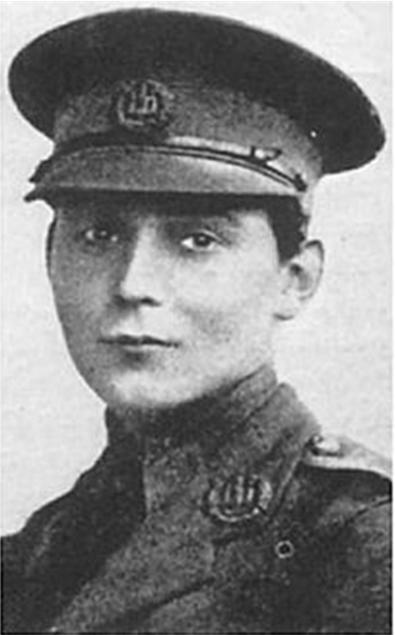 Shortly afterwards he was invalided back to Britain, where on 9 November 1918 he learned that he had been awarded the Victoria Cross. Rhodes-Moorhouse was born at 15 Princes Gate, Westminster. He was awarded the Victoria Cross as a 2nd Lieutenant in the Royal Flying Corps. On 26 April 1915 at Kortrijk, Belgium, Rhodes-Moorhouse swept low over the railway junction that he had been ordered to attack. He released his 100 lb (45 kg) bomb and was immediately plunged into a heavy barrage of small arms fire from rifles and a machine-gun in the belfry of Kortrijk Church; he was severely wounded by a bullet in his thigh, and his plane was badly hit. Returning to the Allied lines, he again ran into heavy fire from the ground and was wounded twice more. He managed to get his aircraft back, and insisted on making his report before being taken to the Casualty Clearing Station. He died the next day, 27 April 1915. De Pass was born in Paddington. 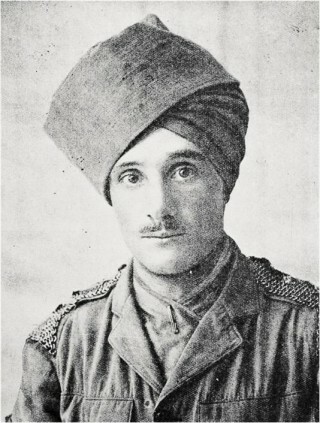 He was awarded the Victoria Cross a Lieutenant in the 34th Prince Albert Victor’s Own Poona Horse. He was the first person of the Jewish faith and the first officer of the Indian Army to receive the Victoria Cross in the World War One. De Pass entered a German sapping tunnel and destroyed a traverse in the face of the enemy’s bombs. Subsequently he rescued, under heavy fire, a wounded man who was lying exposed to enemy bullets in the open. He was killed in a second attempt to capture the sapping tunnel which had been reoccupied by the enemy. This page was added on 25/09/2014.